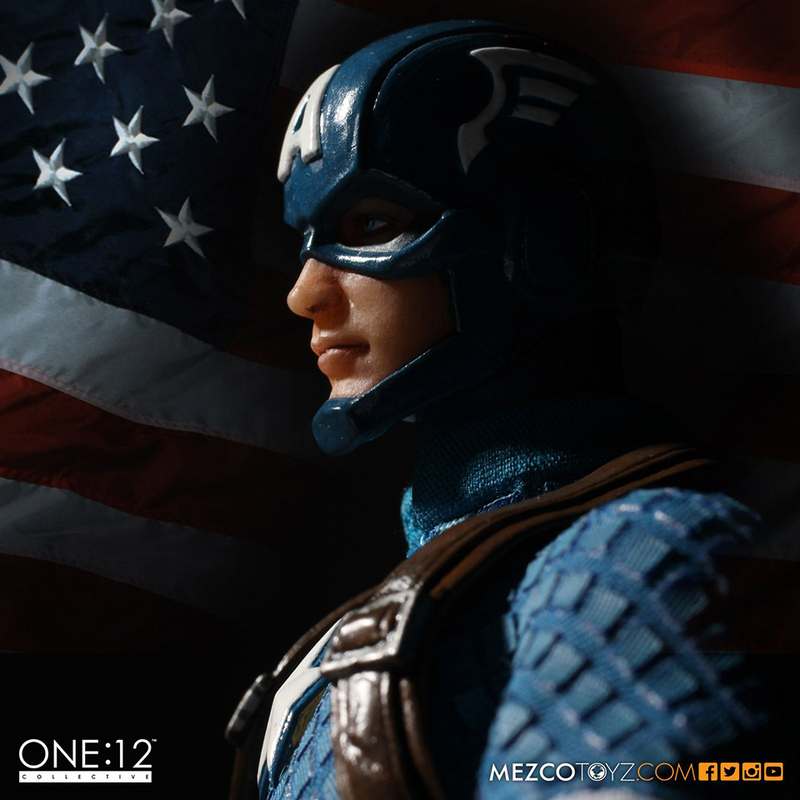 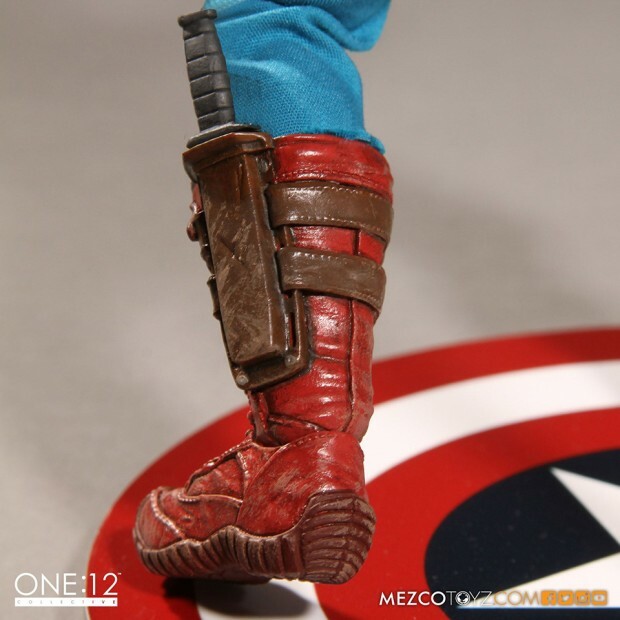 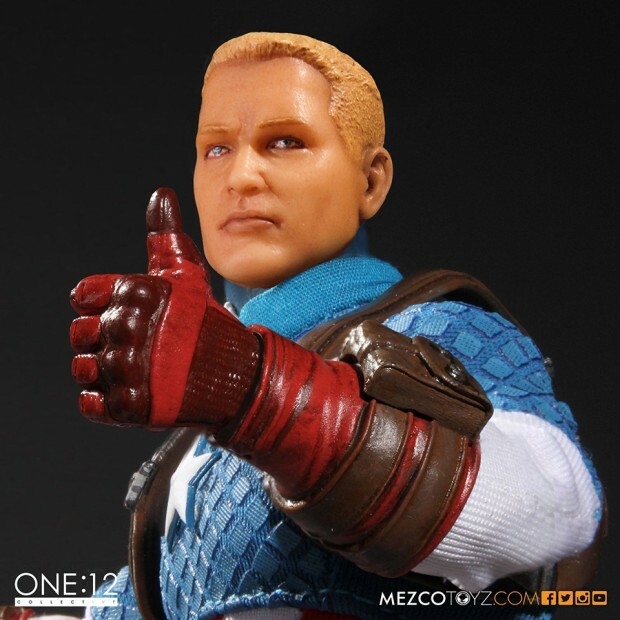 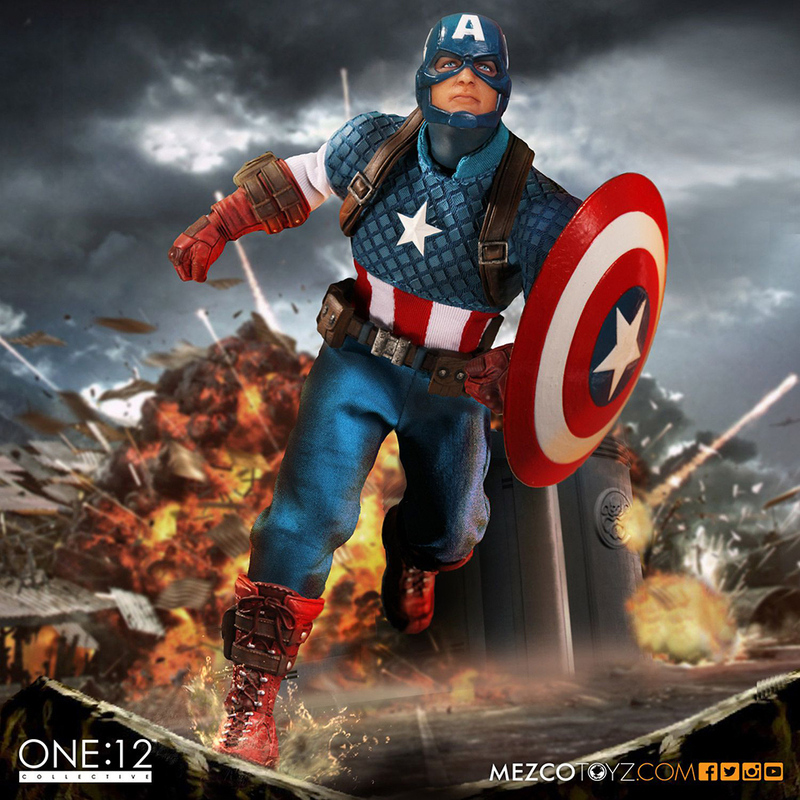 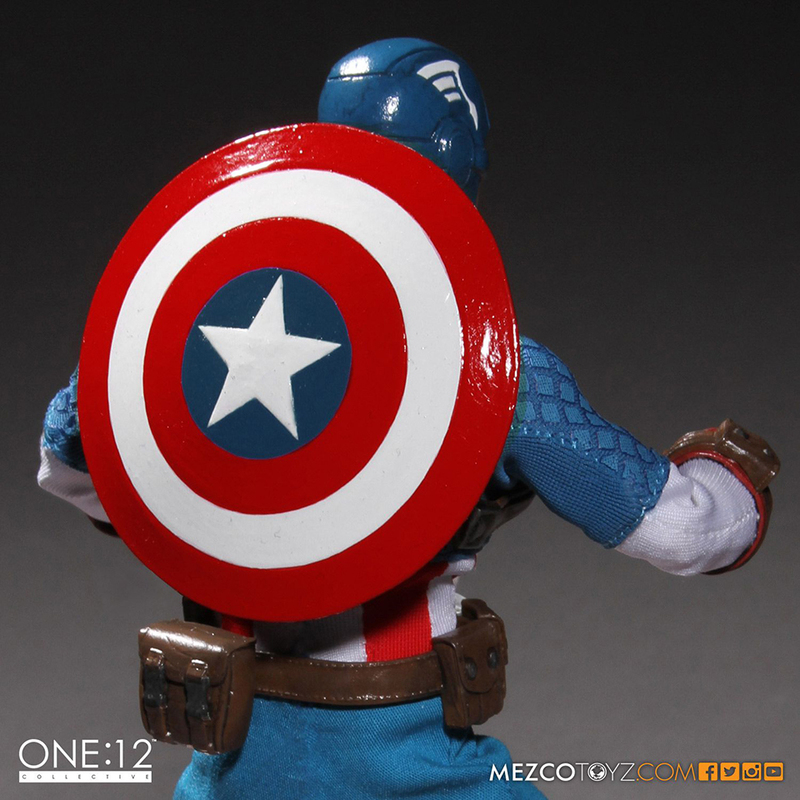 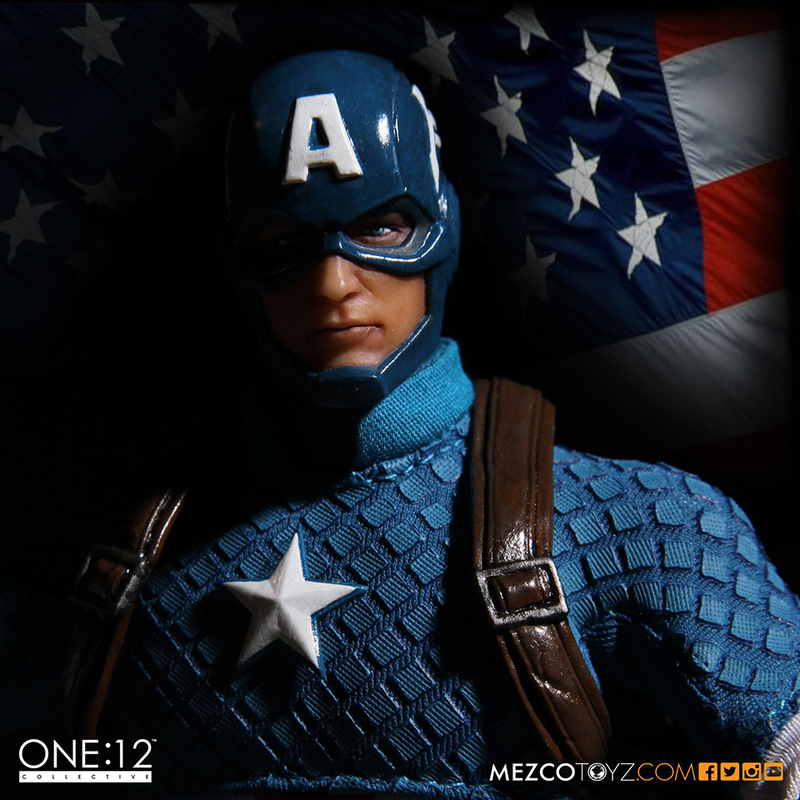 Mezco Toyz’ first Marvel One:12 Collective action figure is here. 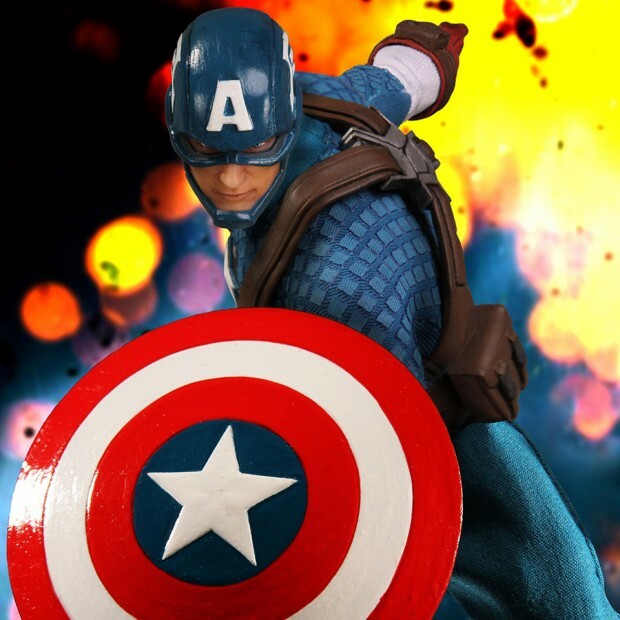 Their Captain America action figure has 32 points of articulation and comes with a masked head, an unmasked head, 11 hands, his trusty shield, magnetic attachments on its gauntlets and harness to hold the shield, a pouch, a canteen, a pair of grenades and a knife. 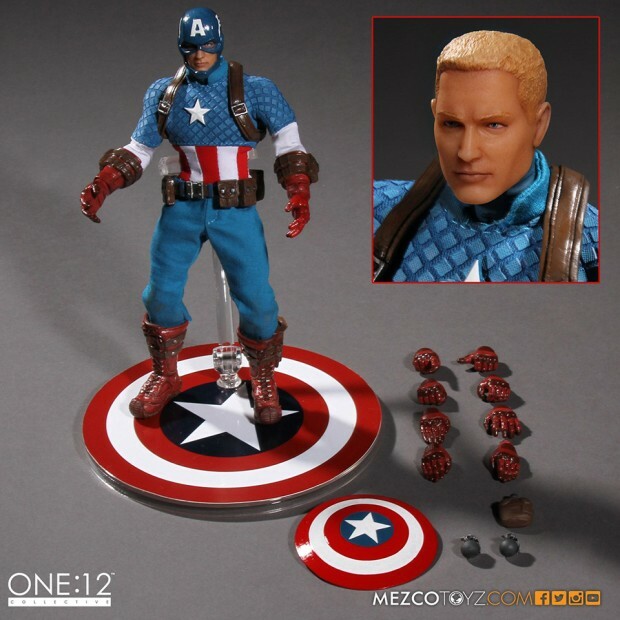 The Steve Rogers head looks too generic to me, but other than that I love this figure. 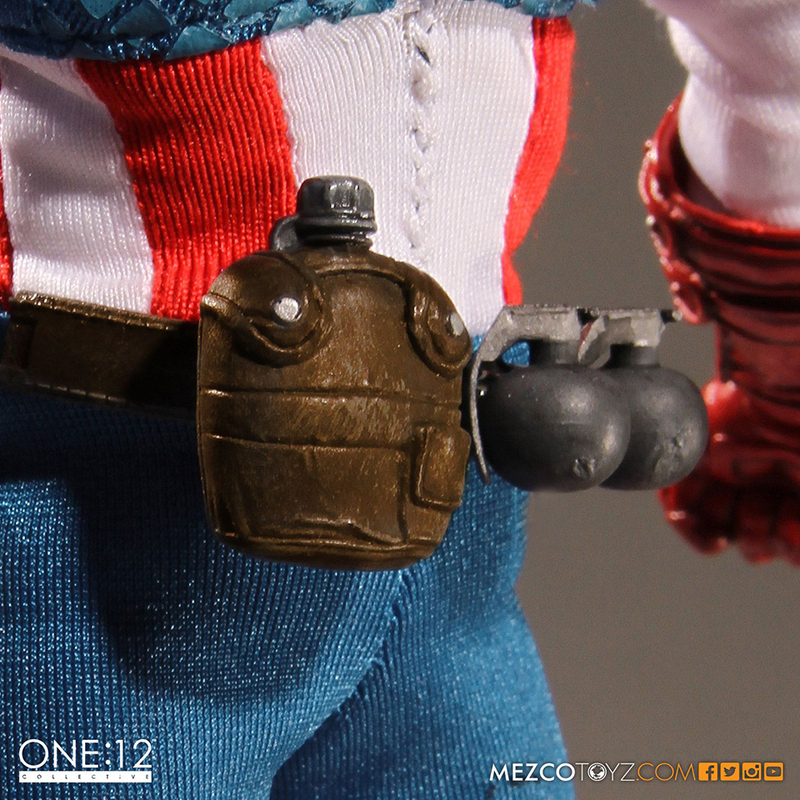 Mezco is good at nailing the retro look without making its figures look cheap or flimsy. You can pre-order the Captain America action figure from Mezco for $80 (USD).